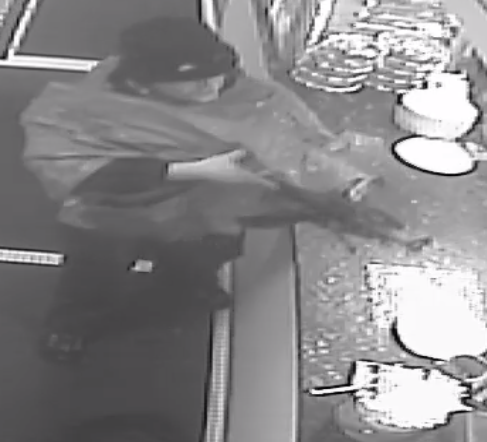 New York State Police is asking for the public's help identifying the suspect in an armed robbery of Nirchi's Pizza in Endicott on Monday. Deputies were dispatched around 2:14 p.m. to the pizzeria located at 701 Taft Avenue. Police releasing pictures of the suspect who was captured on surveillance video. Authorities say the suspect was armed with a rifle and left with an undetermined amount of money before fleeing on foot towards Columbus Avenue. The suspect is pictured below. 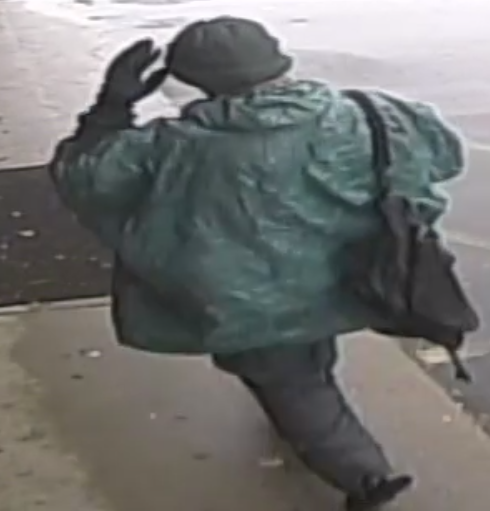 He is described as a white male, medium build, clean shaven, wearing a green poncho, dark rain type pants, dark boots and a black knit hat with eye holes cut out. The investigation is ongoing. Anyone with information regarding the incident is asked to contact the New York State Police at (607)775-1241. Refer to SJS# 8569966. Police responded to Nirchi's Pizza on Taft Ave in Endicott for reports of an armed robbery. Several New York State Police cars surrounded the parking lot, which was taped off while investigators entered the building. State Police say a man carrying a gun entered the restaurant around 2:30pm, demanding cash. After reviewing surveillance footage, police are looking for a man in his 20s or 30s who fled the scene. K-9 units were searching the immediate area, while officers interviewed neighbors. While Fox 40 was on scene, a man stopped to tell police he and his wife had seen a driver in a red car heading up the street perpendicular to Taft Ave. That driver had a bandana over his face. A man just stopped at the Nirchi’s crime scene and is telling police he saw a man with a bandana over his mouth drive away down Magnolia Street. Police say no one was hurt during the robbery and that the suspect made off with an undetermined amount of cash. The incident is still under investigation while police search for the suspect.